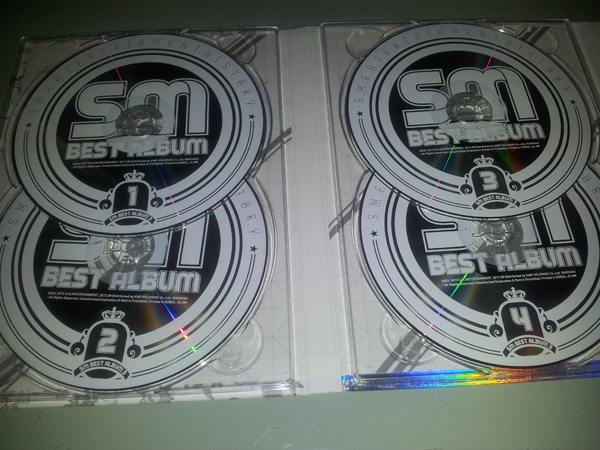 A compilation of SM’s biggest hits in a single release has got to be one of the most tempting things from SM Entertainment, both from a musical and practical perspective. For one, it offers a fine way for casual listeners to get all the hits legally, as well as gain some insight into the SM back catalogue. For the for more seasoned (or more analytical) K-pop listeners, such a release also offers the chance to evaluate how well some of the older songs have aged, or how cheesy the older parts of the SM Performance (that Yoo Young Jin rock/hip-hop hybrid) catalogue now seems. And finally, for the incredibly lazy who cannot be bothered to create playlists or mixtapes, an album such as this is probably the answer. Why bother with burning varied CDs or sorting out a playlist, when there is already a CD collection that does all the hard work for you? Just stick it in the CD player and listen or rip it off a computer. Or come to think of it, for the really lazy (or those who listen to music truly old school), place all six CDs in a CD changer, press the “Shuffle” button and let the CD player do the rest. Reasons aside, does the compilation truly live up to its promise of being a worthy musical retrospective? Read on to find out. The design of the album is rather understated, going with a rather simple white and gray colour scheme. 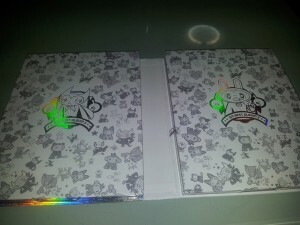 Interestingly, the cover is seemingly themed around some mysteriously drawn cartoon characters, which upon closer inspection looks like some popular animals (monkeys, pandas and bears) given the matoki treatment. While the design could be just a unique one for the album, it could just reflect a new corporate theme of SM, as SM artistes were seen wearing shirts with the designs at SMTown Seoul. The six compact discs inside also largely reflect the no-frills theme of the external packaging, with the same colour scheme used. An interesting detail is how finally SM reverts to sturdier plastic disc holders for the CDs, instead of the flimsier foam ones for other releases. For one, it’s easier to put the CDs back after listening to them, as well as less chances for the CDs dropping out of the holders. 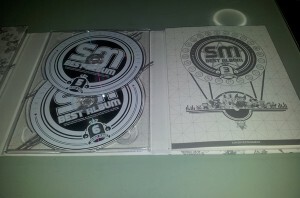 Typical of a release that places more focus on the musical content, the additional content is minimal, with only a lyric book, and a small promotional insert advertising an SM business venture. While some fans might grumble at the lack of pretty content, like photo cards or promotional posters, to others it served as a nice change from some recent SM releases, which appeared more like photo books with some music thrown in for good measure. For one, now the whole release would be judged on the music bundled, and seriously, quality albums rarely sell on the basis of an added photo card, poster or exclusive repackage. And music is certainly what this whole package is all about. One of the main joys of the album is just being able to listen to the hits play on without needing to skip past weaker tracks, and just appreciate the hits for what they are, well-created pieces of pop craft that seem to stick in one’s head after a few listens. Another pleasure the compilation gives, from discs 1 to 3 at least, is how the tracks take one back slightly to a time pre-2007, when maybe K-pop was not jam packed with so many debutants, when some of their acts were all-conquering (BoA, DBSK) and when K-pop still had a reasonable mix of soloists and groups, with some ballad centred acts, rather than today where groups seem to rule the roost. 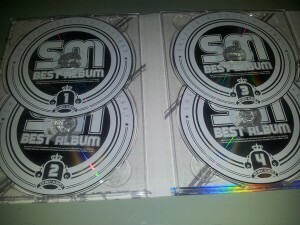 Also, with most of the hits from 2007 and onwards being placed on discs 4-6 onwards, it also provides ample opportunities for comparison and observations, on how artiste styles have evolved over time, how the SM sound seemed to so subtly moved away from being largely centred around the Yoo Young Jin-exclusive SMP to being partly created by European producers, and how some of the old hits can still sound so fresh today, with some new creations coming across as relatively weak in comparison. For those who have a keener ear for pop, as well as observations of how SM has changed over the years, the album would probably be a treasure trove of insights. For one, despite the years, there is something remarkably similar about how EXO’s “MAMA” and Super Junior’s “Twins (Knock Out)” are, as far as debuts go. There is the SMP created layers of sound, followed by the common themes of struggle, as well as how both debut sounds hinted at future improvements. Another rather apt observation is how, apart from SNSD‘s “Into The New World” and SHINee‘s “Replay”, most SM acts’ debut singles always paled in comparison to later works. And then there is how in “Perfect Man”, Shinhwa came really close to being the perfect re-creation of the Western boy band sound. Then there were all those novelty acts that SM signed, promoted for a while and promptly forgot. Speaking of missed opportunities, one is also able to make some judgements of how SM has promoted or wasted varied acts at different points. A thought that come to mind was how much potential CSJH had, and how it had petered out over the last few years, evidenced by the lack of their material in discs four and five (the 2007-2010 era). Other acts which time (and SM seemingly forgot) were Zhang Liyin and TRAX, whose promotional singles make listeners wonder what could have been of their careers if circumstances were different. For all the great things the album meant, there were still some slight flaws with it. Given the rarity of such releases, there could have certainly been a bit more space for a few more tracks to have been included. Some songs that would have been nice would be one or two B-sides from some acts, given how some of those were better than the hits. 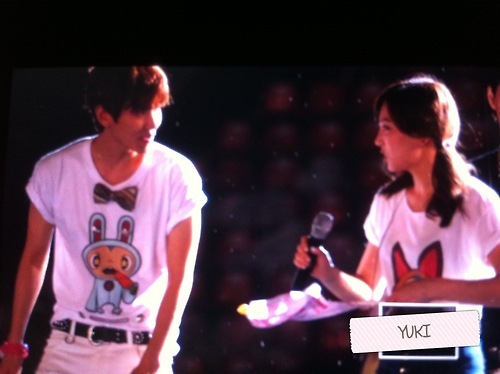 Also, maybe a few more popular OSTs, like Taeyeon’s “If” would have been nice. Still, given the scope of the album, most of the song choices were on spot and did serve their purpose of being a summary of SM over the last eleven years. Also worth criticising was the lack of remastering for most of the later singles. Given how most who bought this collection in CD format did so to have most of the songs in higher audio quality, or for listening on hi-fi systems, it was definitely quite a shame to find that the songs which were optimised for the MP3 releases, like SHINee’s “Lucifer” or EXO’s “Mama” to still have the same harsh and depth-free sound as the digital downloads. However, it is not much of an issue if one is listening on inexpensive earbuds, or off laptop speakers, and that it is a problem that largely affects the post 2008 singles, so the older songs are still pretty alright in terms of audio mastering quality. Overall, these small flaws do not take away from how close to complete this album is for casual listeners who want the SM hits of the past decade, as well as for an insight into how a key player in K-Pop has evolved over time. For that, this album gets a solid 4/5 for being a largely worthy addition to any K-popper’s music collection.